Come hear the songs of this Christmas and Holiday season. Our show will feature the Bells of Gobin Handbell Choir, our own Covered Bridge Harmony Chorus, and several in-house quartets including Daydream Believers, Canto Bella, Christmas Quartet, Covered Bridge Harmony VLQ, and as a Special Guest: Santa Claus. 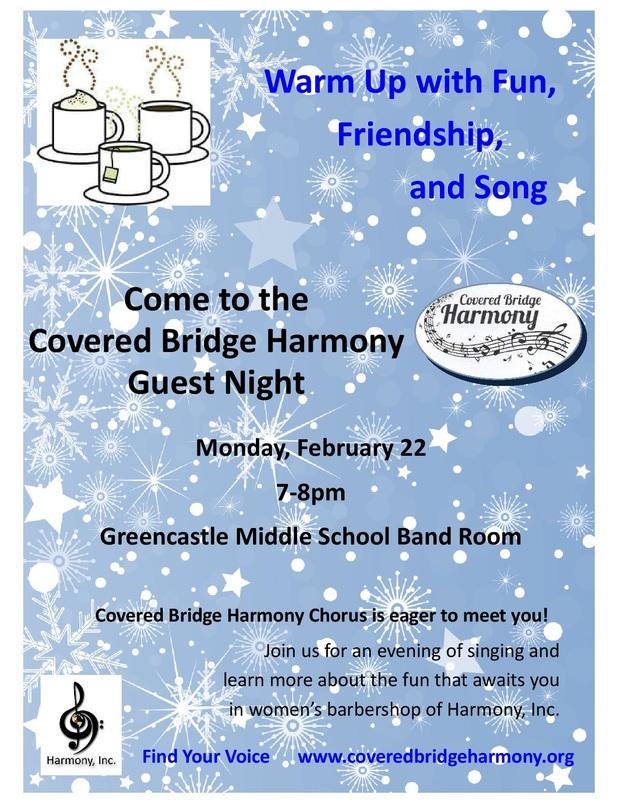 There is no admission, but this is a fundraiser for Covered Bridge Harmony, so donations are GLADLY accepted. Refreshments and hopefully some friendly harmonizing will follow in the fellowship hall. There will also be lots of homemade holiday treats to purchase. For more information, please contact Denise at denise.thede@gmail.com.